As the routed North Korean People's Army (NKPA) withdrew into the mountainous reaches of their country and the People's Republic of China (PRC) funneled in its massive infantry formations in preparation for a momentous counter-offensive, both lacked adequate air power to challenge US and UN. Reluctantly, Josef Stalin agreed to provide the requisite air cover, introducing the superior swept-wing MiG-15 to counter the American's straight-wing F-80 jets. This in turn prompted the USAF to deploy its very best - the F-86A Sabre - to counter this threat. Thus began a two-and-a-half-year struggle in the skies known as "MiG Alley.” In this period, the unrelenting campaign for aerial superiority witnessed the introduction of successive models of these two revolutionary jets into combat. 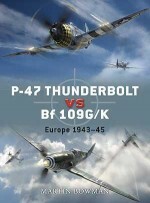 This meticulously researched study not only provides technical descriptions of the two types and their improved variants, complete with a "fighter pilot's assessment” of these aircraft, but also chronicles the entire scope of their aerial duel in "MiG Alley” by employing the recollections of the surviving combatants - including Russian, Chinese, and North Korean pilots - who participated. Doug Dildy is a retired US Air Force colonel who spent nine years of his 26-year career in Western Europe and retired with approximately 3,200 hours of fast jet time, almost half of that as an F-15 Eagle pilot. As commander of the 32nd Fighter Squadron, Soesterberg AB, NL, he enforced the No-Fly-Zone over Iraq acquiring over 100 hours of combat time in the F-15. Warren Thompson has been an avid military aviation historian and editor for over 40 years and his personal reference collection includes thousands of photos and detailed interviews with over 2,000 pilots and aircrew members. 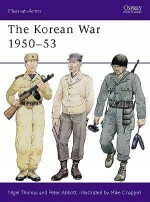 He has had more than 25 books published including several on the Korean War for Osprey.